Let go, breathe deeply and recharge your batteries – in the 33°C warm water of the four thermal pools at the Spa Hotel Bismarck, which together cover a total surface area of 250 m²! Guests seeking peace and quiet will feel just as happy here as visiting families. 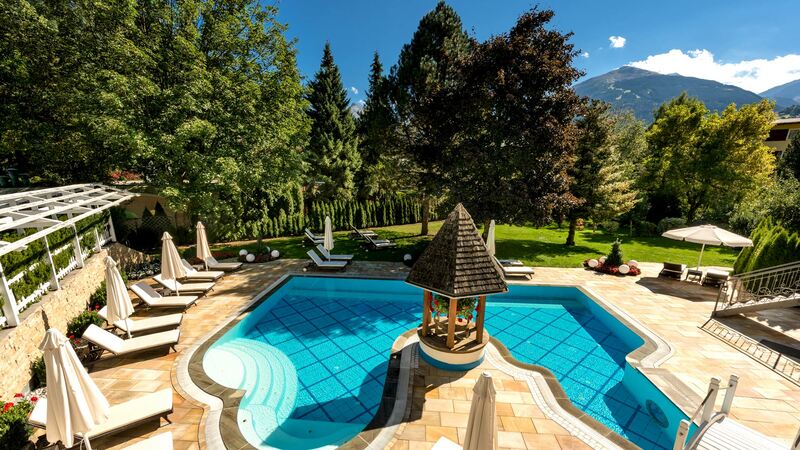 Everyone loves the great view of the Gastein Mountains while swimming – even in the winter, as our outdoor pool is heated to 33°C all year long. The Relax-Spa is a refuge of silence in the main house of the Hotel Bismarck, with a roman-style thermal indoor pool, whirlpool and a thermal outdoor pool. Relaxing in the warm water is especially soothing after a long day of skiing in the winter, but also in the summer after a challenging hike or a cycling tour. Our special: enjoy a romantic candlelit swim twice a week, one of these times with a pool bar and music – perfect on a spa holiday for two! 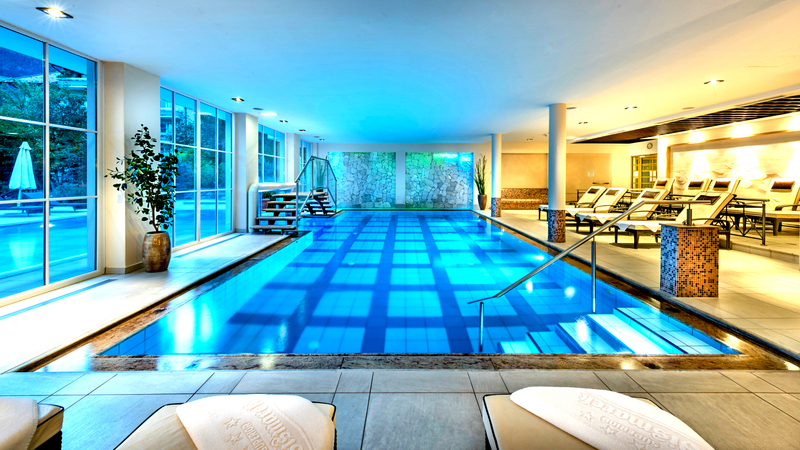 Lots of fun in the water – that’s what is important in the family spa area of the Hotel Bismarck (located in the Fürstenhaus). The thermal indoor pool with bubbles, massage jets, a waterfall and whirlpool seats is loved by children, as well as adults. Feel like you are at a 5-star spa hotel in Austria! And yet, the Hotel Bismarck chooses to stay at an affordable 4-star superior level – we compensate for everything else with our motto: “A little bit more of everything”. 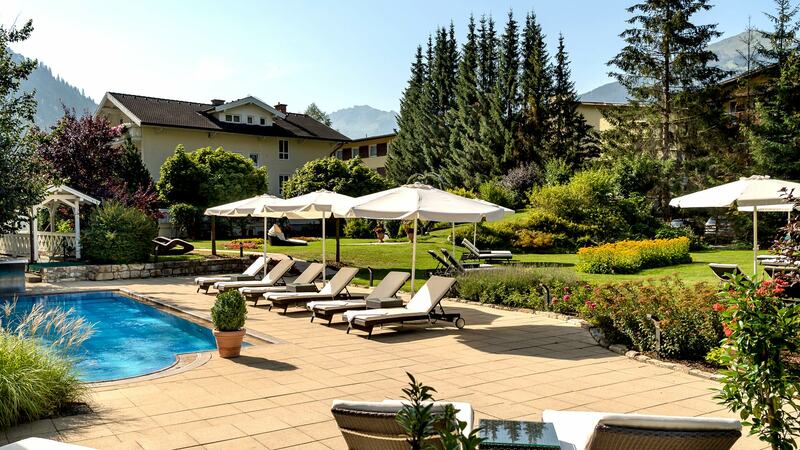 Dive right in to the water world at the Hotel Bismarck, one of the nicest spa hotels in Bad Hofgastein, Austria. Whether you book a spa holiday for two, come for a ski holiday with the whole family, or for your summer holiday – follow your heart to our luxurious spa. 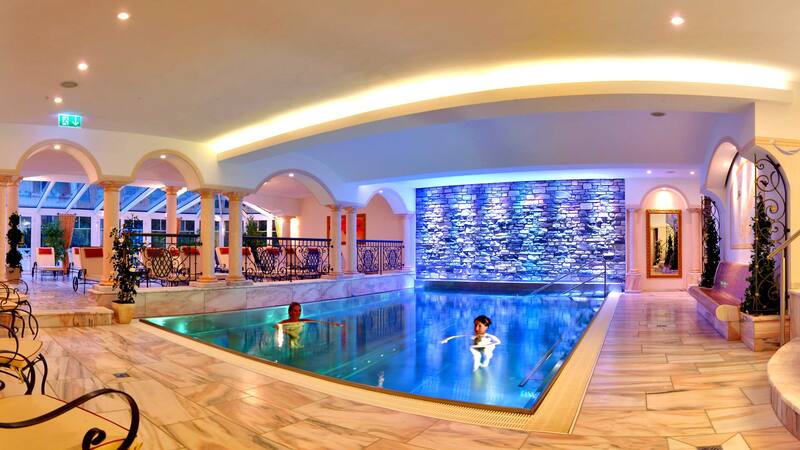 You will feel like you are at a 5-star spa hotel in Austria. We are looking forward to hearing from you – contact us!